Students to Prepare better for the Upcoming Kerala 8th Standard Exams, you must Practice as many 8th Standard Previous Question Papers, as you can, to ensure that you are Confident to face the Actual exam. Kerala 8th Standard 2019 Students this Exam Study Material and Previous Papers Download our Website Available Malayalam, Arabic, Urudu, English, Hindi, Social Science, Physics , Chemistry, Biology, Mathematics Subjects Wise Papers. 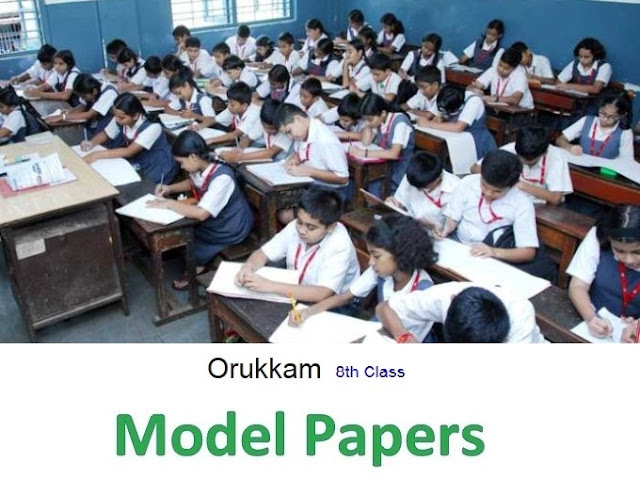 Orukkam Kerala 8th Standard First Term & Second Term Model Papers and Practical Exam Paper has been Published by State Council of Education Research and Training (SCERT Kerala)Thiruvananthapuram Government of Kerala Only. Kerala 8th Standard Examination 2019 Students you can Download Model Question Paper and Syllabus from this web Portal also.